Today I will show you how to create a virus that restarts the computer upon every start up. That is, upon infection, the computer will get restarted every time the system is booted. This means that the computer will become inoperable since it reboots as soon as the desktop is loaded. For this, the virus need to be double clicked only once and from then onwards it will carry out rest of the operations. And one more thing, none of the anti virus software detect’s this as a virus since I have coded this virus in C. So if you are familiar with C language then it’s too easy to understand the logic behind the coding. Compile The Scource Code to get Executable Virus. 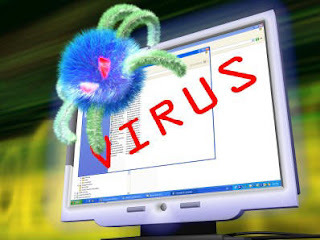 You can compile and test this virus on your own PC without any fear.To test, just doubleclick the sysres.exe file and restart the system manually.Now onwards ,when every time the PC is booted and the desktop is loaded, your PC will restart automatically again and again. It will not do any harm apart from automatically restarting your system.After testing it, you can remove the virus by the following steps. 3.You will find a file by name sysres.exe, delete it. There, on the right site you will see an entry by name “sres“.Delete this entry.That’s it.You have removed this Virus successfully. If I don’t explain the logic(Algorithm) behind the working of the virus,this post will be incomplete.So I’ll explain the logic in a simplified manner.Here I’ll not explain the technical details of the program.If you have further doubts please pass comments. 1. First the virus will find the Root partition (Partition on which Windows is installed). 3. If not it will just place a copy of itself into X:\Windows\System and makes a registry entry to put this virus file onto the startup. 4. Or else if the virus is already found in the X:\Windows\System directory(folder), then it just gives a command to restart the computer. After you compile, the Sysres.exe file that you get will have a default icon.So if you send this file to your friends they may not click on it since it has a default ICON.So it is possible to change the ICON of this Sysres.exe file into any other ICON that is more trusted and looks attractive. For example you can change the .exe file’s icon into Norton antivirus ICON itself so that the people seeing this file beleives that it is Norton antivirus. Or you can change it’s ICON into the ICON of any popular and trusted programs so that people will definitely click on it.